Gunslinger Amani al'Hiza fled her dead-end hometown on the back of a mythical horse with the mysterious foreigner Jin, seeking only her own freedom. Now she’s fighting to liberate the entire desert nation of Miraji from a bloodthirsty sultan who slew his own father to capture the throne. I'm not sure I can begin to tell you how excited I was to finally start reading Traitor to the Throne. Seriously, I was SUPER excited! I read Rebel of the Sands last year, and really enjoyed the story. 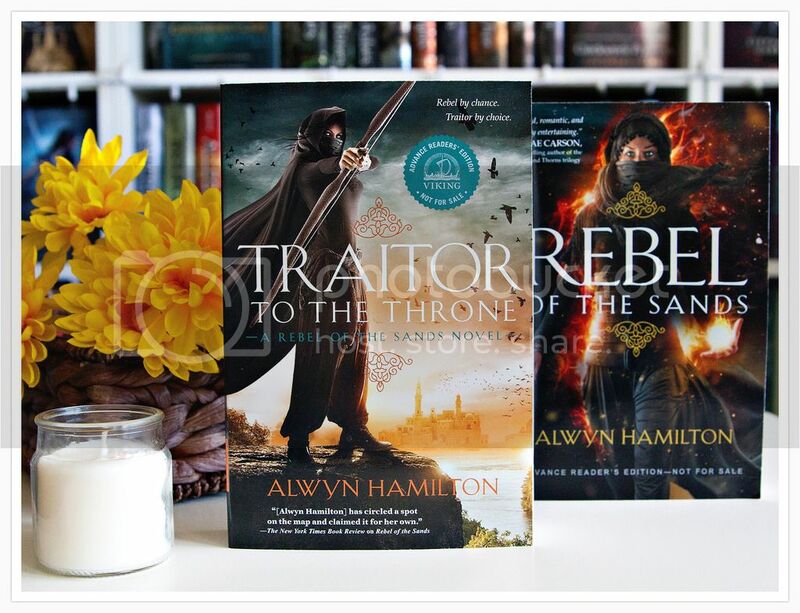 I had the pleasure to read the book again last month before starting Traitor to the Throne, and I loved it even more the second time around. 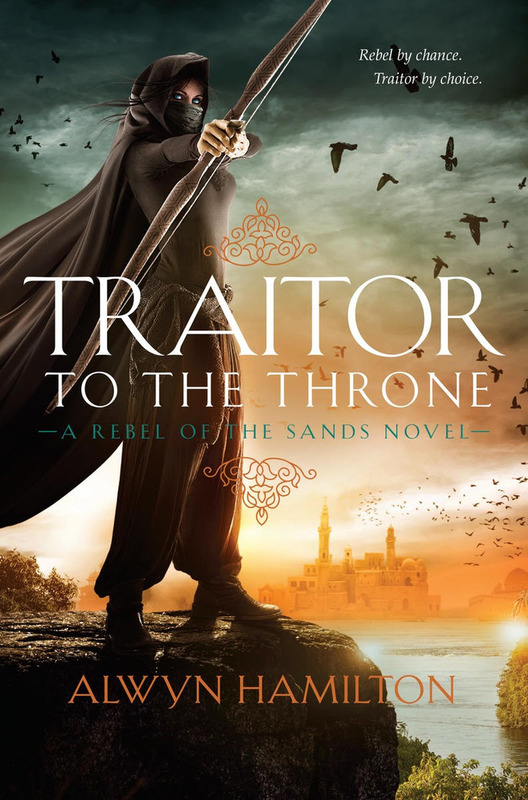 I couldn't wait to see what was in store for us in this sequel, and Traitor to the Throne definitely did NOT disappoint. One of the things I absolutely loved about this series are the characters. There are SO many characters to love in this series, including the main character, Amani, who is quite the rebel badass. (Pardon my french.) I love everything about this girl. She's fierce and fearless, with a heart much bigger than you'd expect. I love that she can hold her own when she needs to. She's totally become one of my most favorite YA heroines. And there's not just Amani, this series is FILLED with characters that you'll love. Some you will not be so sure of at first, and some you will love from the beginning. Jin is another favorite of mine. Though we don't see a lot of him in this sequel, the parts where he is in the story definitely makes up for that. There's also Shazad, Ahmed, and all the characters that we know and love in the first book, and a few new interesting characters as well. And, there are quite a few characters that you're going to really hate as well. This book took me a lot longer than I expected to finish. I'd like to say that my subconscious was keeping me from finishing it, because it just didn't want the story to end, but in reality, I've just been really busy. However, when I wasn't reading the book, I found myself constantly thinking about it. The twists and turns throughout the story definitely kept me hooked, and the characters and setting really make the story so interesting. I finally found a moment to sit down and dedicate my time to the last half of the book, and it nearly broke me. That ending. Ugh, I was in tears. I need the next book now, please!